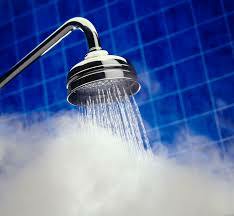 Heating water is a large portion of a household’s energy consumption. Approximately 14% of a utility bill is spent on the energy produced by a home’s water h eater. For most homes with electric hot water storage tanks, heating water ranks second as the home’s biggest energy consumer. PenLight does NOT offer rebates for electric storage-type or tankless demand-type water heaters since the new Federal Energy Standards went into effect in April, 2015. We DO offer rebates for the latest technology for heating water – Heat Pump Water Heaters. $500 Heat Pump Water Heater Rebates are available NOW for a limited time for qualifying “Tier 3” units installed in accordance with the product manufacturers’ specifications. Rebate Application Form to be completed, signed, and sent along with purchase receipt to Penlight . For more information, call 253-857-5950 or send an email.